In today's Federal Newscast, the Treasury Inspector General for Tax Administration finds the I-R-S doesn't always follow its own procedures for reviewing and adjudicating cases of missed filings or under-reported income. In today's Federal Newscast, the Office of Government Ethics wants feedback on whether it should set restrictions on donations to legal expense funds for federal employees. In today's Federal Newscast, all signs point to federal employees' paychecks looking a little larger by early next week. In today's Federal Newscast, the personal information of hundreds of federal agents and police officers appears to have been stolen from websites affiliated with alumni of the FBI's National Academy. In today's Federal Newscast, a version of the Federal Employee Paid Leave Act is introduced into the Senate. In today's Federal Newscast, it appears the Navy will be dropping all charges against leadership involved in the USS Fitzgerald's fatal collision with a merchant ship. In today's Federal Newscast, Congresswoman Jennifer Wexton (D-VA) introduces new legislation requiring federal regulators to encourage financial institutions to work with consumers and other business impacted by a shutdown. In today's Federal Newscast, a new federal interagency strategy from the Agriculture Department, the Food and Drug Administration and the Environmental Protection Agency, looks to reduce how much food is wasted. In today's Federal Newscast, a new study from the RAND Corporation shows it would cost the military more money to create new pilots, rather than trying to keep the ones it currently has. 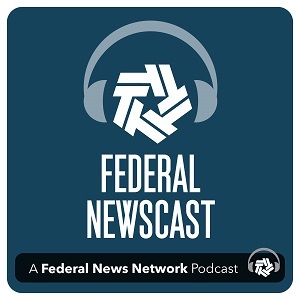 In today's Federal Newscast, the Federal Services Impasses Panel sides mostly with management in a disputed between labor groups and the Health and Human Services Department. In today's Federal Newscast, auditors at the Government Accountability Office say DHS has made considerable progress towards fixing management weaknesses. In today's Federal Newscast, a quarter of the 8,000 Transportation Security Administration officers who left the agency in fiscal 2017, left within the first six months on the job. In today's Federal Newscast, a bipartisan, bicameral group of lawmakers introduce two new bills to ensure federal employees don't lose insurance benefits during future government shutdowns. In today's Federal Newscast, the Justice Department's Inspector General says the FBI's notification system, Cyber Guardian, lacked complete and reliable data, making it harder for the agency to determine whether all cyber-crime victims had been informed. In today's Federal Newscast, bipartisan legislation in the house would create a panel of cyber professionals to advise the Homeland Security Department.